Finding the right turntable for your needs might lead you to getting a $200 model, but it can also easily take you right into the $1000 range. It all depends on what you want out of your rig. Today we are going to check out some of the high end models and see what they have to offer. Many newer users are often wondering why anyone would go for a $1000 record player, which is exactly what we are going to uncover in this guide. 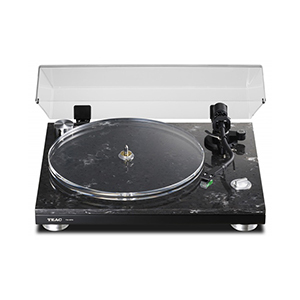 Let’s start by showing you some of the best turntables in this segment of the market. 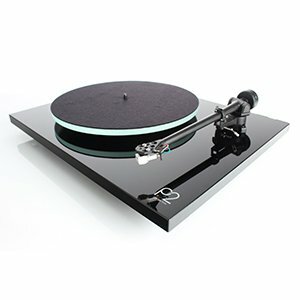 Rega have earned themselves a reputation for excellence within the industry and consumer sphere alike, and the Planar 2 will only serve to expand upon this already revered name. Every facet of the turntable implies careful thought and well engineered design, and the high quality, versatile audio performance is a testament to the overwhelming and total nature of its success. ​The quality of the hardware internals here is pretty high, but our sole complaint is that you may find that the Planar 2 benefits from a cartridge upgrade as the default one, in our view, does not deliver on the full potential of the rest of what Rega have included with this model. It’s a small change, but should make a noticeable difference to your experience. Rock solid belt drive system that brings power as well as finesse. Simple but ultimately attractive chassis design. Performance that is well within the realm of audiophile level. It is slowly gaining more and more capable competition. Pro-Ject 1Xpression Carbon Classic is by far one of the best looking and best sounding models in its respective price range. When you take a closer look, you will find impressive attention to detail and rock solid build quality. This turntable is the perfect solution for those who simply need to reach that next level of sound fidelity. ​There is very little to dislike about the 1Xpression model, and while a large part of that is down to the fact that it is an undeniably high quality product a case could be made to argue that the lack of extra features and simplicity of the product means there isn’t much room to fail. The downside here is that, as time goes by, competing products offer more extras. Once of the best isolation solutions out there. Rock solid hardware that just works. New features that increase versatility. No dust cover available at all. 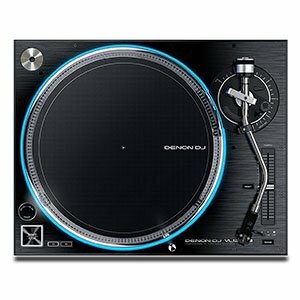 Denon’s new VL12 Prime has brought some new solutions to the world of DJ turntables. It packs a whole lot of heat with a powerful motor and a smooth Quartz direct drive system. With impressive isolation, Denon has made the VL12 Prime invulnerable even to loudest of stages. VL12 Prime is promising to become the new industry standard. ​Despite being one of the more intricate turntables we have reviewed in this price range with a number of features placed alongside the platter and tonearm, Denon have chosen not to include a dust cover with the product which, at this price range, is a little inexcusable. Of course, they don’t always look great, but the choice should be given nonetheless as dust can compromise durability. Elegant, simple and overall attractive design. Rock solid hardware that is well machined and put together. Pro-Ject Debut Carbon Esprit SB is one of those turntables that deliver everything. It looks great, works consistently and reliable, while the performance is punching way above its weight class. For the most part, it is loaded with only those features you really need. True fans of vinyl absolutely need to check this thing out. ​It is hard to find fault with this particular model, as it manages to perform well across the broad and, while undeniably streamlined in terms of its feature set, what it does do it does pretty excellently. If we had to find something to moan about, however, we’d point to the user manual which was poorly written and managed to be more confusing than not reading it at all. A gorgeous, simple design comprised of marble and transparent acrylic. The build quality is really high; it feels premium. Listening experience was good in all of our tests. Not a whole lot of extras, but not the worst thing. TEAC is already a very established name in the sphere of both consumer and professional audio equipment, and so it should come as no surprise that this model manages to deliver on all of the relevant fronts. A gorgeous, opulent design conceals powerful internals which produce a great, warm audio performance across a variety of genres and tracks. ​The TN-550 does not come packed with a whole host of extras in the same way that many competing models at this price range like to do in order to justify the price, but its focus on sheer audio performance will likely be a selling point to purists who aren’t too bothered about extras and are just in it for the sound. Endless creative possibilities with the MIDI controls. The strong and durable feel you’d expect from Reloop. A very strong direct drive motor. No cartridge, needle or headshell is included. 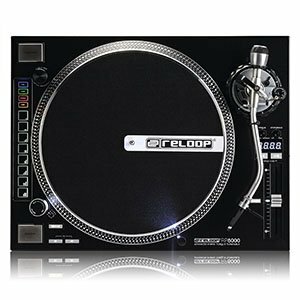 Reloop’s RP-8000 is a super advanced machine, that was the first Serato-supported turntable on the market – packed with MIDI controls to offer endless creativity for the performing DJ. The build quality is excellent and feels robust, with plenty of power on offer from the quartz-driven direct drive motor. It’s not cheap, but it feels worth the cash. 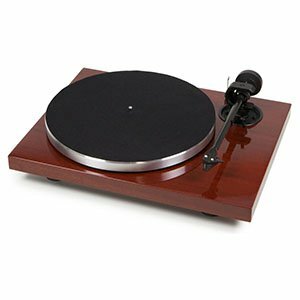 ​While this is undeniably an excellent turntable, it is highly unusual to find a consumer model at this price range which does not come packaged with a cartridge, needle, or headshell. This means forking out more money on top of the base unit, and that may be a serious turn off to many potential buyers who would rather have a more out of the box experience. The familiar design, very similar to Technics’ SL-1200. Rugged build quality with great vibration damping. No cartridge or needle is included. 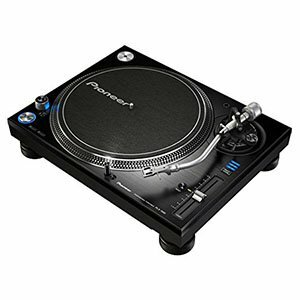 With a big nod to the iconic Technics SL-1200, the PLX-1000 from Pioneer is a no-nonsense machine aimed at performing DJs. It boasts a simple but stylish design, with smooth controls and a rugged build that’s packed with vibration damping to perform well at high volumes in high-energy environments. At this price, the PLX-1000 is a winner! ​This is a pretty heavy turntable weighing in at around 23 pounds, and so it is unlikely that you will want to transport it too frequently. The upside is that it feels incredibly robust and durable, and the build quality is every bit as premium as you would hope. Note also that cartridge and needle are not included, so you will need to pick these up separately. What Can A $1000 Record Player Offer? When you are buying, let’s say a $300 turntable, you are getting a fairly decent product for your money. However, the brand who made that turntable had to decide in a number of compromises in order to keep the price down. This is the same as with any other type of tech. Do you offer your customers better aesthetics, or do you concentrate strictly on performance? How many extra features should you throw in? Are those features related to raw performance, or are they used to make subtle improvements? Now take a look at a $1000 turntable. Just the fact that it costs over three times as much as the one from our previous example, should tell you what to expect. This is a price range where manufacturers can go all out. These record players are not just built well, but every single improvement that could be made, has been made. Sure, it’s not fair to compare a $300 model with a $1000 one as they are judged by a whole different set of standards. However, from a user’s point of view, it’s important to understand what upgrades you get and how they impact your experience. A good example of improvements you will see on expensive record players is complete isolation of components. That means that the motor is isolated from the platter and the chassis, the chassis is isolated from the surface it is sitting on, and so forth. This is done to completely remove the impact vibration can have on the performance of the turntable. Next comes the design of the tone arm. You will mostly run into S type tone arms which are capable of very accurate tracking. Cartridges are going to be on a whole different level as well and the same goes for styluses. The list of features goes on and on. However, aesthetics are much better too. While judging a turntable by the way it looks isn’t really a good way to go about selecting the right one for you, it still matters. 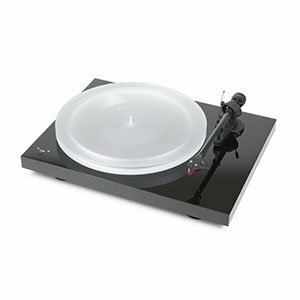 High end turntables bring more aesthetically pleasing designs that may or may not include some interesting features. Namely, we are talking about transparent platters, RGB lighting and similar. With all that said, performance is still the only metric that really matters. Fortunately for us, almost every $1000 record player will give you highest levels of performance. Finding a good $1000 turntable is much easier than finding one in the lower segments of the market. At this price point, brands simply can’t afford to make a mistake. With that said, some models are definitely better than other even though they cost more or less the same. Ones we have listed above are by far some of the best your money can buy at the moment. Each one of them will get you the refined performance that meets and exceeds audiophile level requirements. One session with your new turntable will tell you that it was worth the investment.